Diana Pharaoh Francis | Diana P. Francis | Diana Francis » Blog Archive » Um, what? Happy Samhain! Now, the um, what? refers to doorbell day. Doorbell day? Does one observe doorbell day by doorbell ditching? Standing out front and ringing it all day? Is it today because of Halloween and all the doorbell ringing from trick-or-treaters? This day and night, may the transformation you most need come to you gently, lovingly, and surely. May you celebrate with your beloved dead and merry meet at the crossroads of your destiny. Rather than shun or fear them, may you embrace the quiet, needful gifts that the endarkenment offers. Let the seeds of next year begin the sleep before joyful birth. 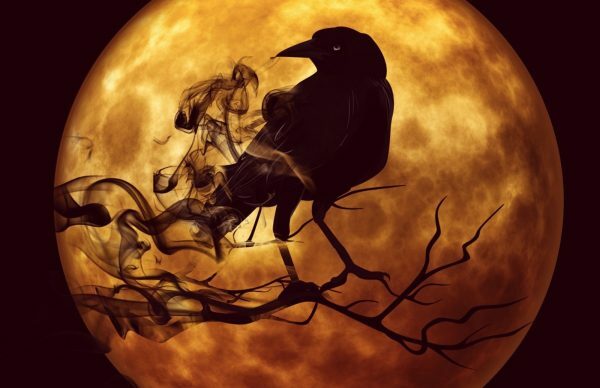 To you, and all your beloveds, I wish you a most blessed Samhain! This entry was posted on Wednesday, October 31st, 2018 at 9:04 am in Uncategorized. Tagged: blessings, samhain. You can feed this entry. Both comments and pings are currently closed.